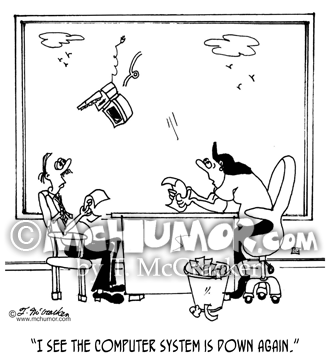 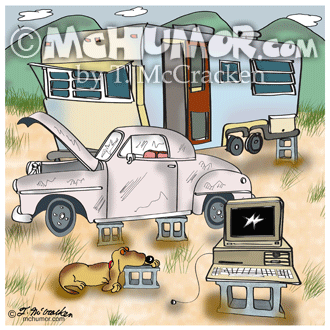 Computer Cartoon 5397: A woman says, "I see the computer system is down again," as a computer falls from a window. 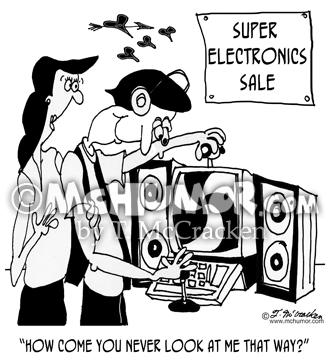 Electronics Cartoon 8129: As a boy drools over electronics for sale his girlfriend asks: "How come you never look at me that way?" 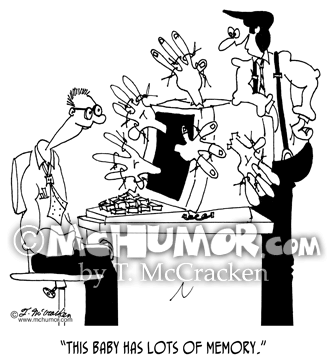 Computer Cartoon 6822: Of a computer with fingers coming out of it, all with little bits of string tied around them, a man says, "This baby has lots of memory." 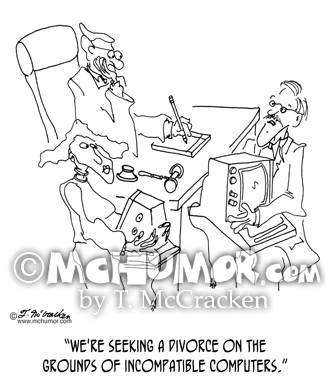 Divorce Cartoon 1309: In court a man says, "We're seeking a divorce on the grounds of incompatible computers." 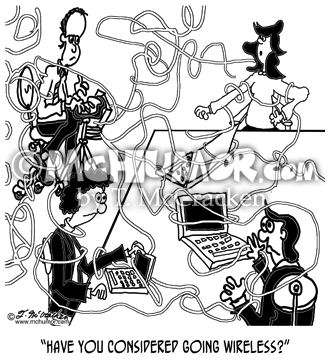 Court Reporter Cartoon 8340: Everyone in a deposition room are tangled up in a court reporters cords. 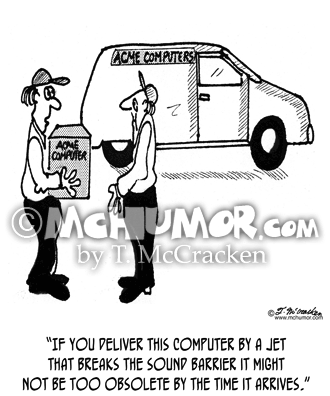 The witness asks, "Have you considered going wireless?" 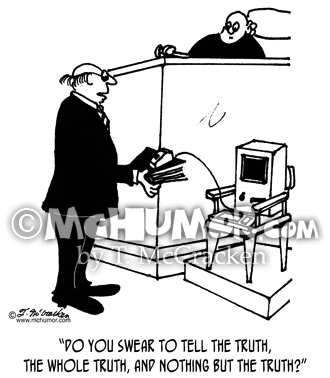 Court Cartoon 3626: A bailiff swearing in a computer in court says, "Do you swear to tell the truth, the whole truth, and nothing but the truth?" 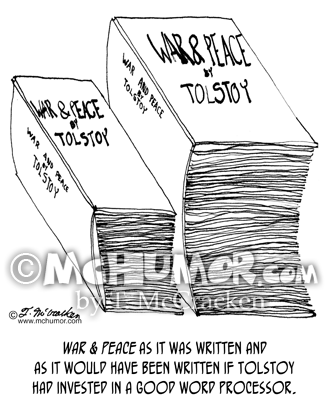 Tolstoy Cartoon 9038: "War & Peace as it was written and as it would have been written if Tolstoy had invested in a good word processor." 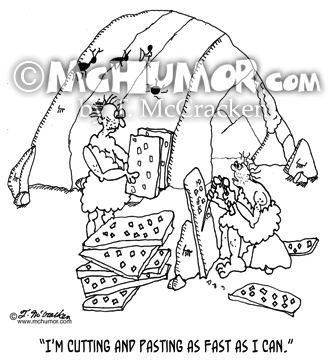 A large book is next to a humongous book. 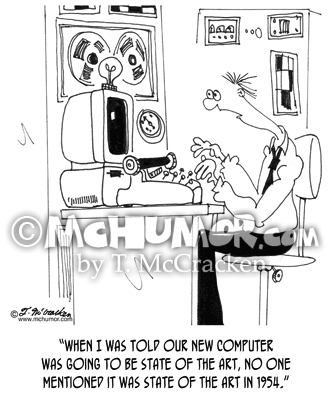 Computer Cartoon 7058: Looking at an ancient computer in an office someone says "When I was told our new computer was going to be state of the art, no one mentioned it was state of the art in 1954." 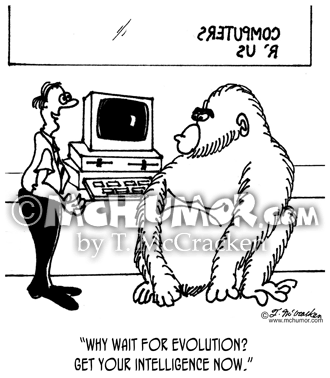 Evolution Cartoon 2839: A computer salesman says to a gorilla, "Why wait for evolution? 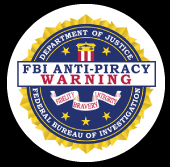 Get your intelligence now."